The title of this post is deceiving because being 5 feet 5 inches doesn't make me an official shorty, but in my mind I have always viewed myself as being short. 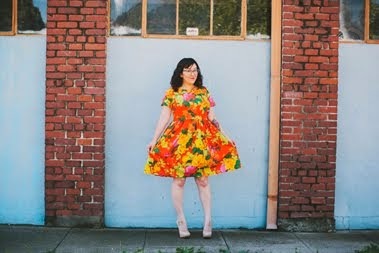 I figured that I needed to be a few inches taller in order to wear maxi length anything, so my entire life long dresses and skirts were never an option, until my sewing machine became my best friend, that is. Last year I made a maxi skirt and dress and wore the hell out of them. For whatever reason I didn't realize until the end of this summer that I needed more in my closet, but that's how I roll I guess. Idk. My husband was in Vegas a couple of months ago and I took advantage of some uninterrupted sewing time and made this Syrah skirt by Baste and Gather. 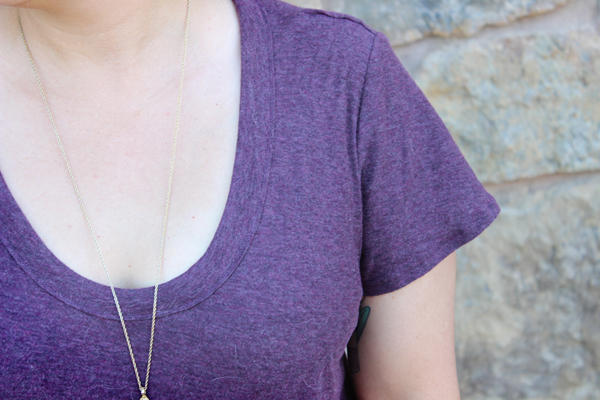 The pattern is super cute, quick to sew, and a great fit. I'm giving the pdf cutting and taping situation an A+ because everything lined up perfectly, no wonky taping skills were even needed on my part. High five! One of the reasons why I held off on making this skirt initially ended up being the reason that I love it. The built in slip is a pretty awesome idea, but it requires a swimsuit lining, something that is not locally available to me. A quick e-mail to Lauren at Baste and Gather confirmed that I needed a four way stretch nylon/lycra fabric. Well, I was buying my main fabric from Michael Levine, so I wanted to get the slip fabric from there too. The polyester spandex lining I ended up purchasing wasn't exactly what Lauren recommended, but at $4 a yard I figured it was a risk I could afford. Luckily, it worked great. P.S. This pattern also rules because it's an elastic free waist. Super rad. I think I'm going to size down for my next version though because I prefer a tighter fit. Other than that, I'm stoked on this skirt. 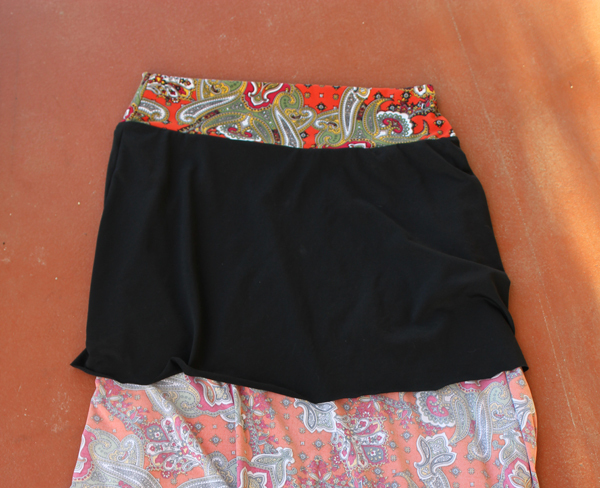 The top is a cropped Briar t-shirt made from the scraps I had left over from the maxi skirt I made last year. There was barely enough fabric to make the shirt and cutting it out was an adventure, but in the end it all worked out. Unfortunately, there was a small hole in the fabric and I didn't notice it until I was almost done sewing :( It's on the back shoulder and isn't super noticeable, but since I know it's there I feel self conscious about it. Just chillin with some dog hair on my shirt. I've probably made Briar five or six times at this point, so I don't have any new insight into the pattern. However, this was my first time making the cropped version. I've never worn a shirt this short and it has taken some getting used to, but I do like how it looks with a high waisted skirt. I'll probably make another one at some point in the future. Have any of you made Syrah yet? And do you like drinking Syrah? Because I do.